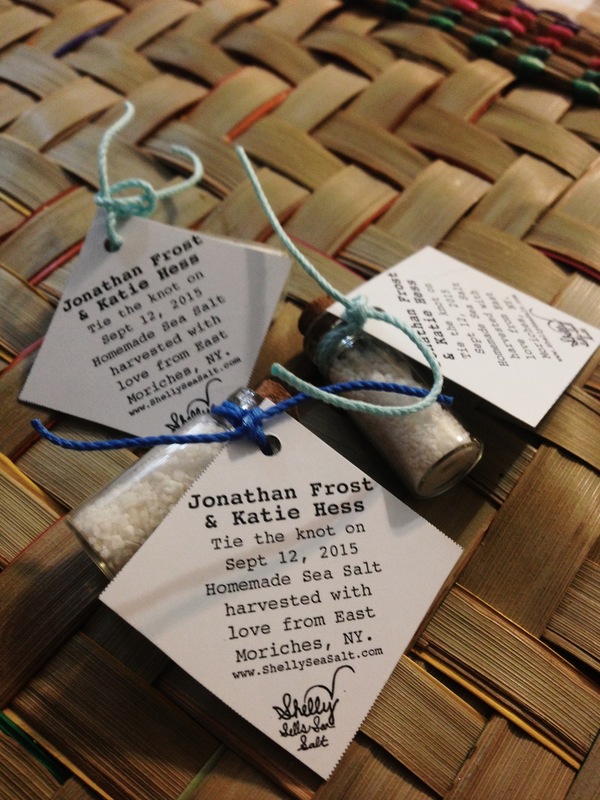 We are excited to announce this season's salt making workshops through the South Fork Natural History Museum! The first workshop for beginners will be next Saturday, July 18th at 10am at a beach in Southampton (tbd) and we will go through the basics of salt making, ocean safety, and salt history. The second workshop will be held on Saturday, August 29th and will have some of the same content in addition to how to make blends, how to make scrubs, and other uses for salt. The workshops are priced $7 for adults, $5 for children (Age 3-12), and free for 2 and under. To register, please call 631-537-9735 To read more about their other workshops and events click here. See excerpts from the website with course descriptions to the left of this text. Ohh and you can see pictures from last years workshop HERE! Hope to see you there! On October 18th, we held the workshop for the auction winners at Swordfish Beach Club in Westhampton. Meg and Tim Carbone just happened to be at the beach during the workshop, which made it all the more special. The workshop attendees took their water home at the end of the lesson to finish their product. I’m happy to report that they have sent me numerous pictures of their homemade sea salt and are very happy with their results! 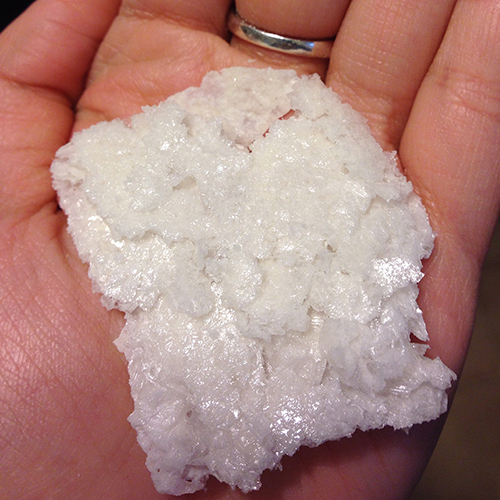 We will post our spring and summer salt making workshops in the up coming months. Did you see the photos from our first workshop in Southampton for the SoFo Museum? This is my typical weekend late fall/winter/early spring outfit. I’ve tried everything from rain boots, knee high boots, and waders, but nothing compares to my trustworthy wet suit for mobility and warmth. I’m able to really get in past the shore break and not feel like I’m being held down by material. My new lifesavers: These rubber dipped booties by Rip Curl. Holy cannoli! They keep my feet SUPER warm and dry. Walking on the wet and dry sand is 100x easier with these babies. Big thanks to our friends at Island Surf for hooking it up! I am so grateful for empty beaches and warm water, both of which lead to ideal salt making conditions. My only complaint is that it gets this dark at 5pm! Fingers crossed that all hurricanes stay far, far away! Wish you could see it in person, those crystals glisten! !